We are fortunate to have, on All Hallows’ Eve, a post by The Rt. Rev. Brian J. Thom helping us to remember those who have gone before. Bishop Brian is to be commended for having his post ready before Diocesan Convention, while the hapless manager of this Blog was too overcome preparing to leave town to get it posted last week. Thank you, Bishop Brian for your support! Unusual. An obituary in our local paper written by a woman before she died. Thirty-eight years old. She didn’t say what would cause her death. Her modest reflections on her average life – her only claims to success were marrying a good man, having two sons, and knowing Jesus – were more an invitation than a farewell. (She did observe that she was no longer afraid of telemarketers, serial killers, or the IRS). If thought of from time to time, she asked that her friends and family express their remembrance of her in a few specific civic and children-related activities. Also, to quit smoking. I was struck by this unique participation in her own death. In a sense, she was offering her own eulogy. Perhaps her own burial prayer. The prayers for the dead and their loved ones on pages 470 and 493-494 of the Book of Common Prayer burial offices bid God’s particular care of each. Beyond this, they also help us encounter our emotions concerning both the person and the reality of death. We pray for the one who died and for those who must remain; we desire that the survivors will not be overwhelmed and that the departed will find themselves blessed to be in God’s nearest presence. All that said, this is a difficult piece for us, isn’t it? Issues of mortality and theology? The pain of loss combined with questions about existence? The BCP verses assume our faith and our loved one’s destination, but I wonder how really assured or comforted we are by them? Certainly the stated hope of reunion with the departed is a theological and cosmological assertion meant to be consoling. Yet, some, like me, find it hard . . . as faithful as we are . . . to accept the assurance of a future blessing as a palliative against a current hurt. Perhaps that is why it would be good for us to encounter these prayers more often than when we attend an Episcopal funeral. Read, mark, learn, and inwardly digest, eh? Ribbon your Prayer Book to page 493 and occasionally read the three prayers, pondering if, one day, you might be object or observer. Read them in moments of strength and, more bravely, in times of confusion or frustration. By God’s mercy, any time spent reflecting on our own end will assuredly inform our present. In that strength, maybe you can begin to live into the testimony that your obituary will one day be. And, please, join me in giving thanks for Sonia Todd of Moscow, Idaho, who wrote to claim the value of her life in her death. We are grateful for a return visit from The Rt. Rev. 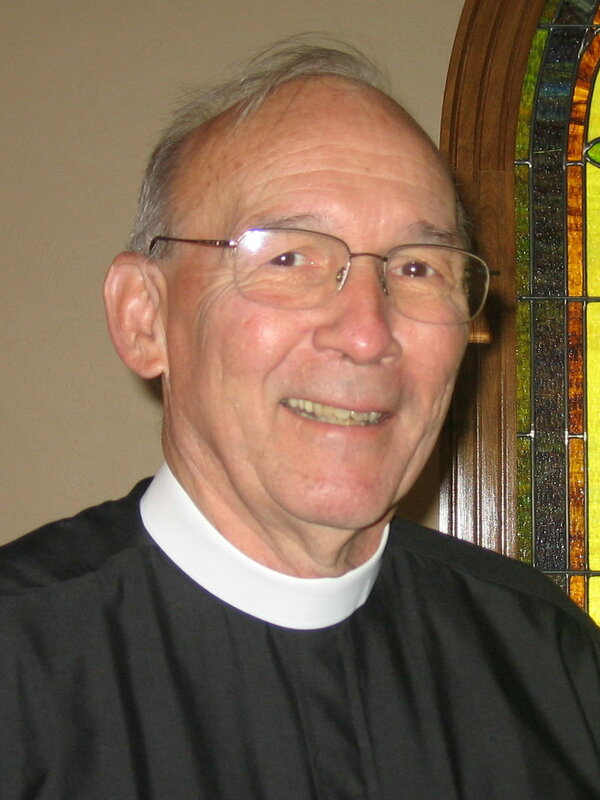 Brian J. Thom, Bishop of Idaho. Renew. Send. Strengthen. Empower. Sustain. Continue. Recognize. Receive. Bless. Preserve. Keep. Direct. Uphold. While the Baptismal Covenant on the preceding page (BCP 416) of the Confirmation rite is also full of powerful action images, these words, taken from the Collect and the bishop’s prayers over the candidates, confirm the abiding commitment God has to the nurture and formation of God’s people. They speak of God’s intention for each of us as we commit ourselves to spiritual paths. They promise that what God has started, God can finish . . . if we will hold up our end of the relationship. Need to be reminded of what God desires and/or will give to you? These thirteen words form a pretty good litany all by themselves. Try reciting them in a moment of prayer. Need a shorter list? Try these seven from the Prayers for the Candidates (BCP 305): Deliver. Open. Fill. Keep. Teach. Send. Bring. Braver? Do the same thing with the Baptismal Covenant! As the one in the Diocese of Idaho who is privileged to be the layer-on-of-hands, I cannot express how moving it is to represent God’s faith community in the welcoming of new Episcopalians and those others who make a mature, public, affirmation of what God is doing in their lives. It is the phrase “who has begun a good work in you” that seems to catch me up every time. Certainly, those presenting themselves for confirmation, reception, and reaffirmation are enjoying a moment of accomplishment, recognition, and commitment that has a celebratory sense to it. They have arrived and it is a blessing. However, we know it is also a beginning. Cupping their heads in my hands and looking them in the eyes, I sometimes wonder if they really know what they are in for? If the Holy Spirit has begun a good work in us, we should be careful not to interpret “good’ as pleasant. Good work, in the hands of God, rarely means comfort. More likely, actions like letting go, giving up, and taking onwill be the nature of our experience. The Spirit’s good work will be good for us – in the making-us-better-disciples or more-in-tune-with-God sorts of ways. Not so much in the making-our-lives-be-perfect/happy sort of way. 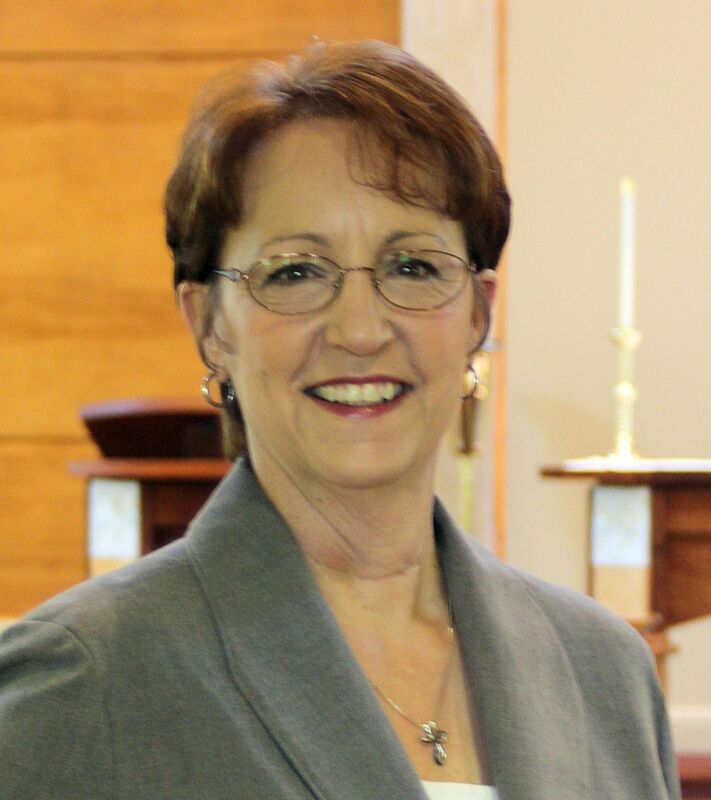 This week our guest blogger is The Rev. 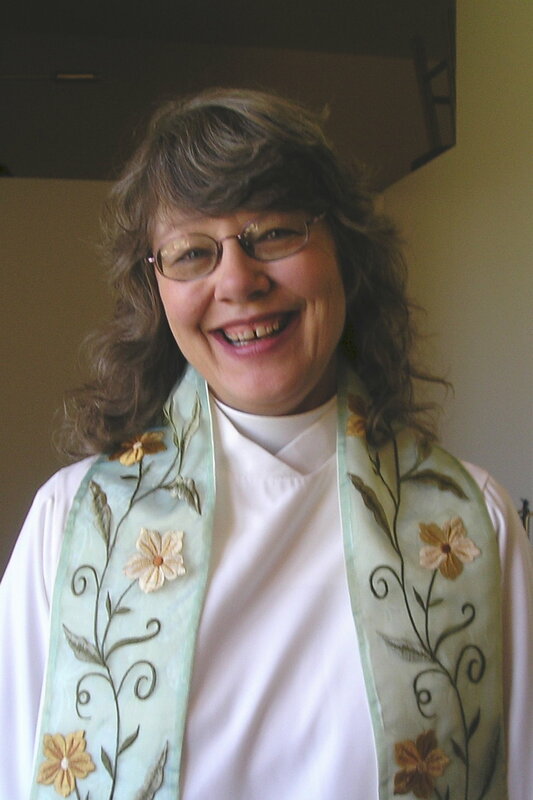 Karen Hunter, priest at Grace Episcopal Church in Nampa, Idaho http://gracenampa.episcopalidaho.org/ and at La Gracia Capilla in Caldwell, Idaho. 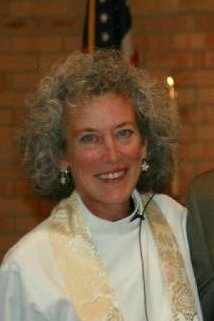 Karen has just returned from her third trip to General Convention serving as a Deputy from The Diocese of Idaho. This bidding to confession, we are told, dates to 1548. If you grew up with the 1928 prayer book, the words are etched in your soul. Encountering them this week has been a true and wonderful gift. For me, the most powerful words are “draw near”, so let’s start there. It is so interesting that the invitation to “draw near” originated as an actual invitation to come forward. I remember hearing those words as a child and their effect was indeed to draw me in, hold me closer. I can say without hesitation that this call and the Confession of Sin which followed, was for me, at that time, the most intimate and grace filled moment of the service. It was as if the universe stopped so God could focus solely on those who knelt before him/her. I can only imagine what a powerful moment it was when one was able to actually step forward, to literally “draw near” and kneel at the foot of the altar, the very seat of God. To repent, of course, is to change direction, to make a new plan, to have a change of heart. It assumes regret, but oddly enough, doesn’t seem to require it. I wonder sometimes, how the Church would change, if in order to confess our sins, we were each required to submit a written plan for repenting. This ancient bidding goes even further than that. It requires that one has already been reconciled to one’s neighbors. Having made a new plan, done the work of reconciliation required to put the matter at rest, and ready to recommit my life and its action to following Christ, I come and kneel before God and the community gathered to confess my sins and seek forgiveness. Confession in this context cannot help but be a profound and holy moment. We have come to be set right with the world, and God in God’s mercy, graciously obliges. These days we seem to be of two minds about confession. Some of us love it because we, without much reflection or intension, get a warm fuzzy feeling when the priest pronounces absolution. We want to have confession in every possible liturgy. Some of us object entirely. I have heard endless discussions about our “innate goodness” and the “negativity” that is engendered by suggesting we might be (“from time to time”), sinful. It is interesting to reflect, therefore, on the idea that our gratitude is directly related to our personal sense of sin; that a grateful heart, is of necessity, a penitent heart. Perhaps our general dissatisfaction with so much and so many is directly related to our inability or unwillingness to take a deep and honest look at our own hearts. How can we expect to see grace clearly if we refuse the contrast of truth in our lives? How can we ever know we are lost, if we refuse to acknowledge the path? My house is on the market and—like any motivated seller—I’ve been attending to all the minor maintenance issues I’ve permitted to slide for the last three years. Where the snow sweeps in and snuggles against the door frames in winter the paint had peeled and so a weekend was devoted to scraping and wire-brushing and sanding before fresh paint could be applied to seal the naked wood. Colorful viscous matter has been scoured from the nether regions of shower doors; eager shrubbery has been subdued, and this last weekend I addressed the kitchen sink sprayer, whose round pattern had calcified closed into a few side-glancing streams of water. White vinegar is the elixir of the household goddess, and I filled a jar with it and soaked the sprayer head. A little scrubbing, a little more soaking, and a final prying loose of the shards of mineralized crust, and the sprayer is once again a fully open conduit for water from the waiting pipes below. White vinegar also worked magic in the shower’s secret places and on the window glass, and the baseboard molding, and the gunk where someone taped a flier to the front door. In our prayer book, the Collect for Purity is white vinegar for the human heart. When the priest stands before the people and calls upon the Holy Spirit, she comes, shimmering like carbonated air. She ties back her sparkling tresses in a cotton kerchief and hums to herself as she pours a bit of white vinegar into each clogged and hopeful heart of those gathered. Maybe she uses a spray bottle on some people who just need a touch-up. Maybe others require a gallon of the stuff and a chisel. Cleanse the thoughts of our hearts by the inspiration of your Holy Spirit. Wash me thoroughly from my iniquity, and cleanse me from my sin. [NRSV Ps 51:2] becomes: Wash me like a garment; agitate the water and scrub me. Free me from my wicked conduct more completely than I could free myself. Purify me. Cleanse me from my sin. O God, reduce the disorder and wildness in me, and call into being a spotless heart, one free from guilt and the obstruction of sin. Consecrate a new and straight-aiming spirit inside of me. I like the term “straight-aiming” because it makes me think of the crooked sink sprayer before its vinegar bath. Open my heart, O God, and make me a clear conduit for your love that waits to be shown to the world through me. Cleanse my secret places of all that rots and mildews there. It is not by my desire or design or agency or might that my interior debris is cleared away, but by your gracious and powerful spirit rinsing through me. Now the door on my designer oven needs my attention for it sags tiredly on its hinges and will no longer close completely. I don’t know why it has any right to feign exhaustion—I barely use the thing. No matter—I will set a jar of white vinegar inside, close the weary door, and pray. If it works for sink sprayers and hearts, it ought to do something for ovens. Mention the Apostles’ Creed and I have flashbacks to Confirmation class. If I didn’t memorize it I couldn’t be confirmed, and (in those days) if I wasn’t confirmed I couldn’t take Communion. Hearing mention of the Apostles’ Creed still causes me some bit of apprehension. But back to the Baptismal Covenant. When I was given the opportunity to participate in this blog, I quickly grabbed this date. Those five wonderful questions that replaced the one above – and thank goodness they did – can make a huge difference in our lives if we listen to them and really mean it when we answer, “I will, with God’s help.” Where the question above is the easy and inert, “Do you believe . . .”, the five we have now call us to action. Will you proclaim by word and example he Good News of God in Christ? It is that last question in particular that I look to for guidance in my daily life. And I’ve added some additional emphases of my own. Justice and peace for ALL people – not just Americans, not just Christians – ALL people. And, of course, RESPECT the dignity of EVERY HUMAN BEING – all races, creeds, socioeconomic levels, sexual orientations, education – EVERY . . . HUMAN . . . BEING. Meet The Rev. 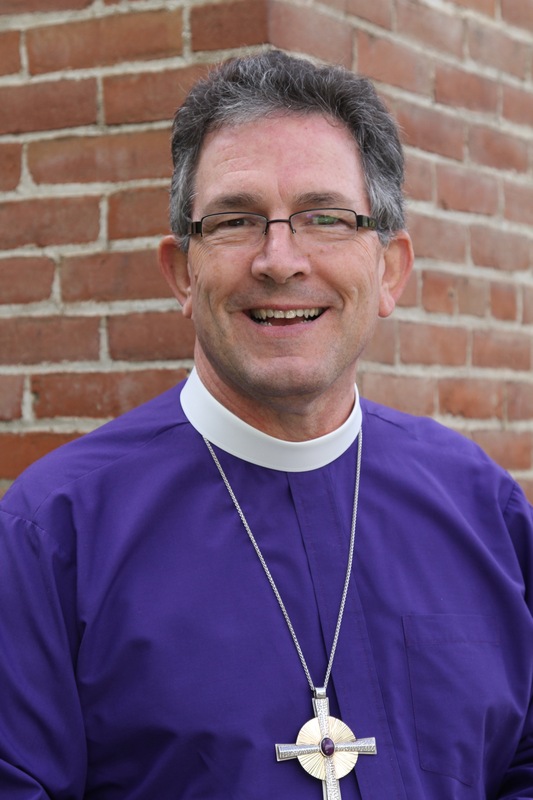 Shawn Carty, rector at Emmanuel Episcopal Church in Hailey, Idaho. Besides serving as guest blogger, Fr. Shawn is also preparing to represent the Diocese as a deputy to General Convention. As a parish priest, I could easily get worked up about the thought that Holy Baptism is supposed to be convenient (it’s not) but the word that really bothers me is “done.” I find it often comes up when people inquire about Baptism. It is as though the Sacrament is something on a checklist. “Are we on the waiting list for a good preschool?” Check. “Vaccination for measles, mumps, and rubella?” Check. “Baptism?” Let’s get it done. And while most of us do not stay awake at night fretting about medieval fires of hell as described by Dante, I have encountered a few parents who view Baptism as ecclesiastical fire insurance. It is not a pretty sight. God knows that parents do not need one more thing to worry about. In fact, they can use all the help in the world, so I try to put their minds at ease and talk instead about God’s love and the value of a supportive Christian community, which inevitably leads to talking about the beauty of Holy Baptism. And I like to use words that come straight from the rubrics of the Prayer Book: Full and indissoluble. On the Sundays we celebrate Holy Baptism in our parish, I make sure these remarkable words from our Prayer Book (p. 298) are printed at the top of the service leaflet: Holy Baptism is full initiation by water and the Holy Spirit into Christ’s Body the Church. The bond which God establishes in Baptism is indissoluble. Full and indissoluble. Complete and unbreakable. Sufficient and permanent. In The Episcopal Church, we still have some work to do, I think, in acknowledging that Holy Baptism is full initiation. We cling to Confirmation (often called a “rite seeking a theology”) as a requirement for certain positions of leadership, an indication that we think Baptism is not quite sufficient. “Yes, you are baptized, but…” When it comes to Baptism, there are no “buts.” It’s full and indissoluble, no exceptions. I once heard someone say that Baptism is one of the very few things we do in the Church that can be called infallible. Yes, indeed. Recently, on the Day of Pentecost, I had the privilege of presiding at the baptism of a six month old girl. After I poured water on her head, she instinctively reached down to touch the water in the font. She knew she belonged. Later in the service, when we celebrated Holy Communion, I gave her a small piece of bread and then dipped my finger in the wine and placed a small drop on her lip. In that moment, I knew that the newest full member of the household of God, Christ’s Body the Church, was at home. And her journey was far from being done. In fact, it is just beginning. 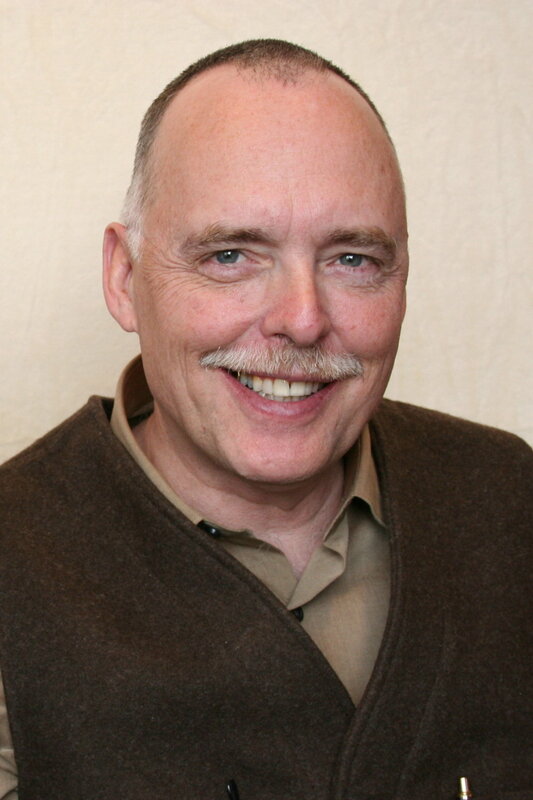 Our guest blogger this week is the Honorable Mick Hodges, Magistrate Judge in Cassia County, Idaho and Fisherman Extraordinaire! I was baptized, with my parents and two younger siblings, at Trinity Memorial Episcopal Church in Rupert, Idaho, (population 3000? at the time). Trinity Memorial is now St. Matthews and is still one of those picture-perfect, small town Episcopal Churches of old, complete with a shake roof. I was fourteen years old when I joined the community of Christ. Celebrant Will you seek and serve Christ in all persons, loving your neighbor as yourself? People I will, with God’s help. Celebrant Will you strive for justice and peace among all people, and respect the dignity of every human being? People I will, with God’s help. I remember obligingly repeating what I was instructed to say, but this 14-year-old wasn’t a real deep thinker at the time. I loved the building and I loved the people who attended there, but the words were many and confusing. In retrospect, the highlight of the day for me was opening the neat gifts my god parents brought. Thirty-four years later, the experience was much more meaningful when I renewed those vows after a conversion experience. Mine was a later life “conversion”, (realization?) and following a life-threatening illness I was literally “born anew”, as Hatchet discusses on page 251 in Commentary on the American Prayer Book. I made my Cursillo and studied to become a worship leader. I continued to enjoy my life with my wife of 35 years and my three beautiful daughters and, along the way, donned a Magistrate Judge’s robe. With that judge’s robe, I am publically challenged on a daily basis to “strive for justice and to respect the dignity of every human being” This is especially easier said than done when dealing with the mentally ill.
Several years ago, I was involved in founding a misdemeanor mental health court in our home county. This is a sentencing option for the mentally ill involved “minor” crimes that may include substance abuse, medical problems, unemployment, a housing problem or family disputes. Often this is the person who has gone into the library to get warm and has fallen asleep. These individuals attract attention because of their disheveled appearance and unpleasant smell. In Idaho, the misdemeanor mental health court is also called a problem-solving court. In other jurisdictions these courts are called “therapeutic courts” and yet others are called “accountability courts.” With this model, a treatment plan is formed and the defendant appears in court on a weekly basis, usually with a Psychosocial Rehab Worker. Achievements are lavishly praised and relapses or other deviations from the plan are treated with varying degrees of sanctions. In the worst cases, the defendant will serve jail time. With the most difficult cases, the individual is dismissed from the program and serves the entire jail sentence. With the most successful cases, the person “graduates” with a job or disability benefits. The person’s mental and physical health is stable, the family has been reunited and the person has a year of sobriety under his or her belt. If all of that can be accomplished then the criminal charges are dismissed and the case is closed. Rather than arresting and jailing as the solution, we are finding that simply treating mentally ill people with same the respect and dignity we do anyone else can make their day and make for a brighter future. Such a simple act can also go far in answering that most difficult of baptismal vows. Will you strive for justice and peace among all people, and respect the dignity of every human being? Daily I am reminded that I will – with God’s help!